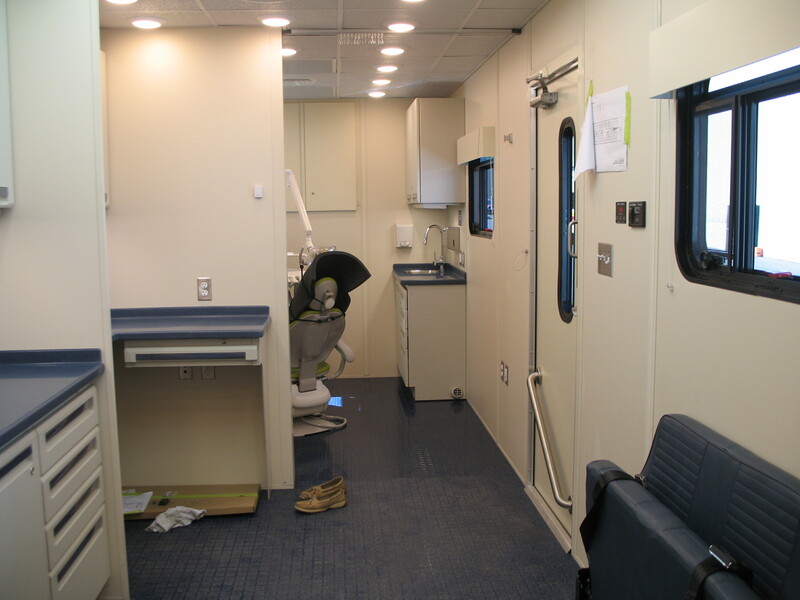 Early pictures have come in from the build-out of our Dental Van! Our new Dental Van – following the delivery model perfected by the Asthma Vans – is a comprehensive mobile clinic with a dentist aboard that will break down barriers of access to dental services with children across the Chicagoland area. This is especially important because, according to the American Medical Association, four out of five children do not receive preventative dental care. 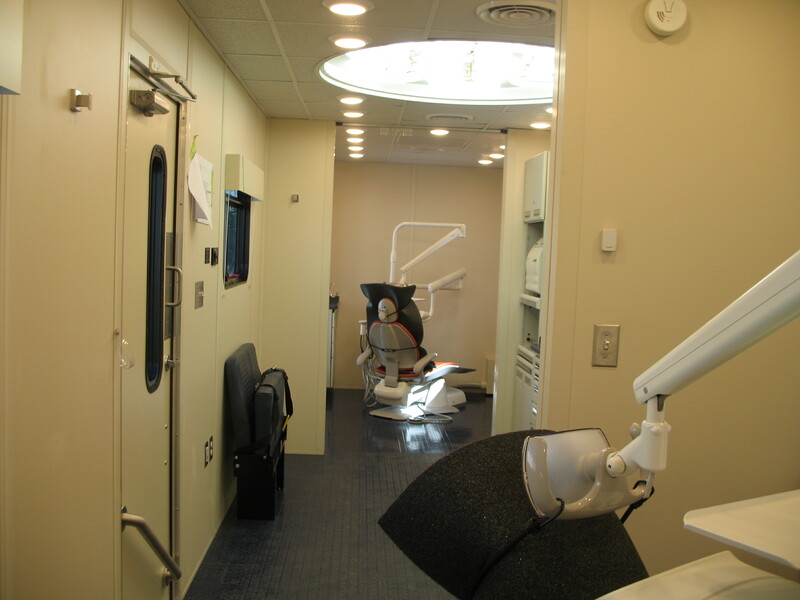 In some cases, a visit to the Dental Van will be the first time a child sees a dentist. Let’s take a brief tour! 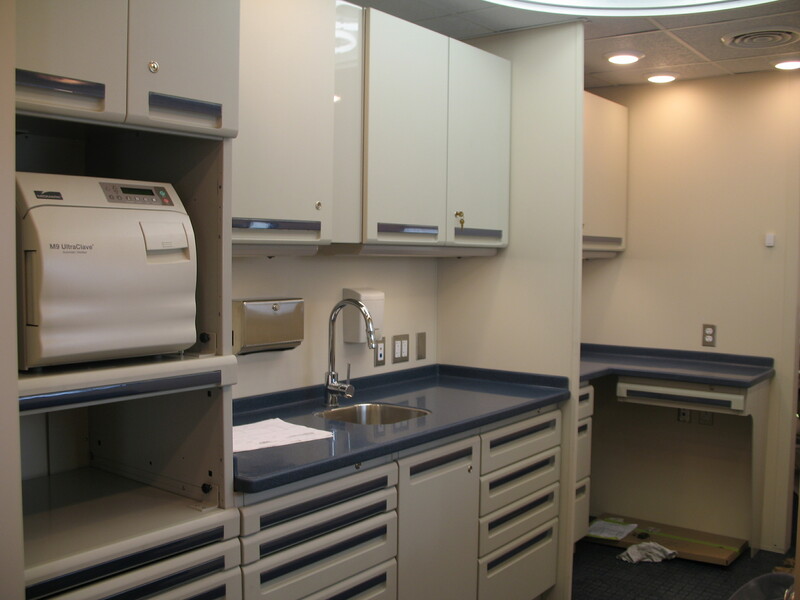 Our Dental Van also features a Stericenter which will afford efficient workflow space and allow sterilizing and storing instruments. There is additional storage behind the rear operatory room. We see children at their school sites to provide the benefit of low wait times. Children don’t miss a lot of school and parents don’t have the added stress of traveling far to make appointments. 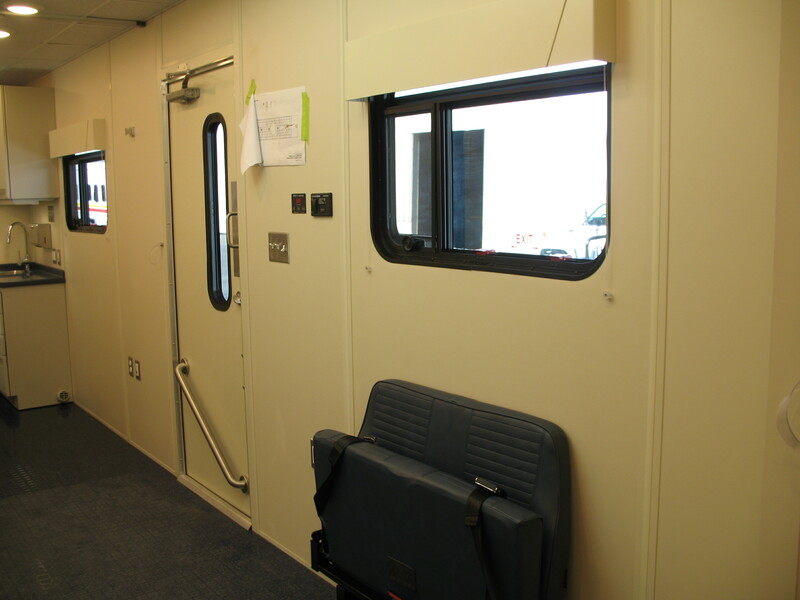 Our Dental Van has a small, interior waiting room to accommodate a child and parent. The seat can fold up or down to accommodate workflow. Now that we have the Dental Van our next steps include staffing, decorating the inside, and continuing to partner with school sites. In our first year we expect to visit 2,000 children at 40 partner schools. We cannot wait to get started! With enough funding, we could help 2,500 low-income children in our first year! Help us reach our goal through the Race to 2500!